When you are working to try to influence elected officials there is a long list of things that you can do, but there is a shorter list of basic grassroots lobbying principles that you should keep in mind in order to be more effective. Just like every other area in life, personal relationships matter. How well do you know the people that you are trying to influence? The better you know someone, the more likely that you will know how to approach them. What’s important to them, and why? How do they usually come down on most issues? Get to know them on a personal level if possible, (it’s always harder to say no to someone you know). That’s why being involved in the political process helps. Don’t try to do everything. Focus. It’s better to do a few things really well than to attempt to do a lot and only manage a half-way job. It doesn’t help your case to look ineffective. Generally speaking, the more personal and/or spontaneous the contact is, the more effective it will be – but the harder it may be to generate big numbers. For example, a stack of thirty postcards can be viewed as just “pieces of paper’, but thirty personal letters, or thirty people showing up at a meeting, (or at their office), creates a more vivid and lasting impression. It’s easier to get thirty people to sign postcards, but harder to get them to write their own letters or go to a meeting. Don’t just go for “quantity” because it’s easier. Try to focus on “quality”. Of course we always want to let politicians know how we “feel” about various issues, and well we should. But it can be even more effective if you let them know what you will do. 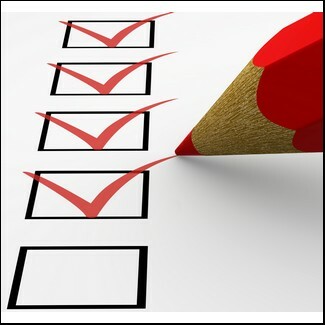 For example, let them know that you intend to contact every registered voter in your neighborhood; or have ten people write letters to the editor; or have everyone in your church show up and protest outside their office for a week; or that you will contact everyone you know to organize an effort to recruit someone to run against them in the next election if they don’t support your efforts. Also be sure to let them know what you will do to support them if they support your issue. Be careful not to come across like a hothead and ramp things up too quickly. Depending on where they are on the issue, slowly turn up the heat and build pressure. The more the merrier, so enlist others in the effort, (why should you have all the fun – or do all the work?). The larger your group of fellow malcontents becomes, the more resources (including time, money and extended networks) that you will have to draw from. Actively recruit! Don’t be shy. If you are upset about it, chances are someone else is too. Most people don’t contact a public official unless they are upset about something. If you take the time to thank those who do right – even publicly – they will remember it. It’s a cheap investment that can pay big dividends down the road. 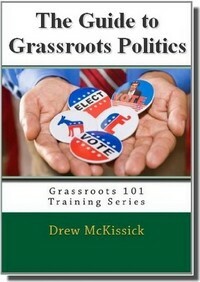 No matter what grassroots lobbying techniques or tactics that you might decide to use in your efforts, they will all generally revolve around these principles. Think of this as the basic checklist. Make sure that you’re covering the basics!